Light bottles for a dramatic look on a bar or use our 6' long LED wire light set to light glass vases of flowers, centerpieces, room decorations and more to create a unique light up shabby chic decoration. 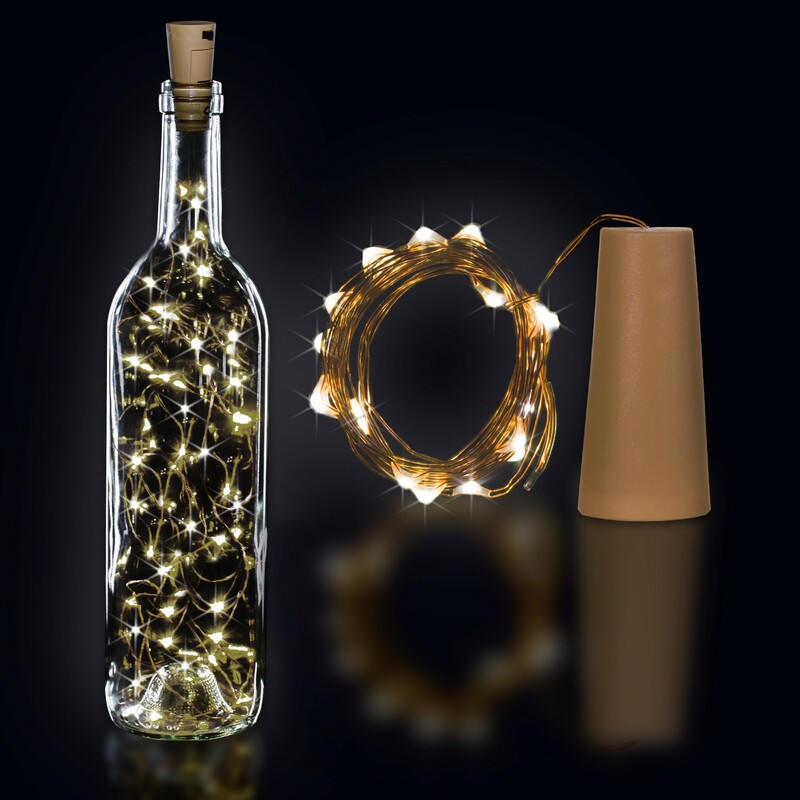 Our Cork String Light Set comes with a plastic cork type top that holds the on/off switch . 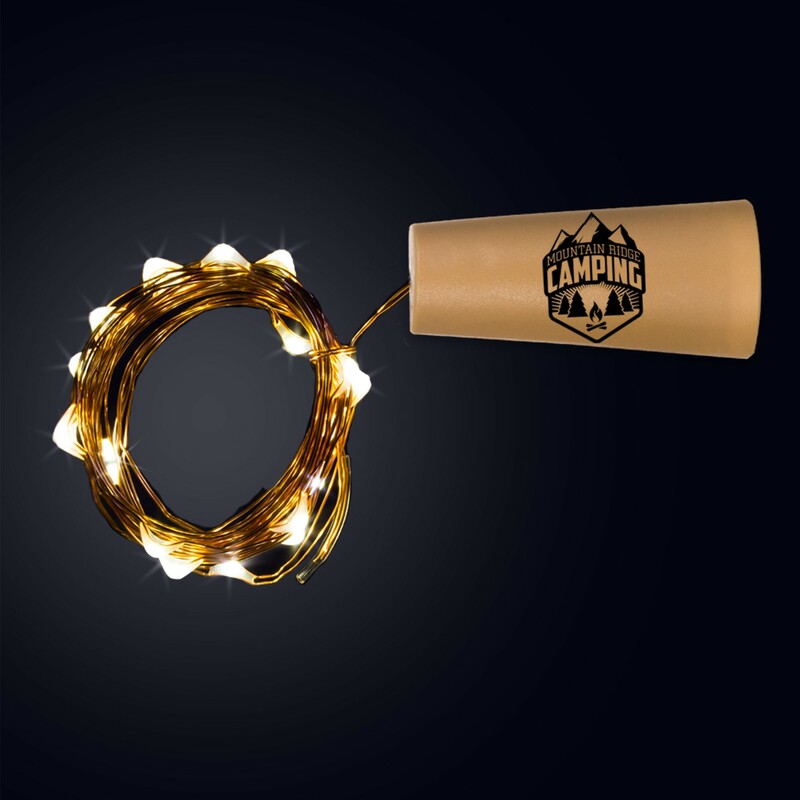 Our 6' long wire String Light comes in a pack of 1 and there are 20 lights on a wire They have only one setting and are steady on only. Each Light Set comes with 3 AG13 batteries included, installed and can be replaced. Use your imagination for a great light up look for night time fun.. * BOTTLE NOT INCLUDED'.